When spring arrives, gatherers will forage for ramps in discrete spots throughout the Pisgah National Forest and Nantahala National Forest. Ramps are wild onions that Native Americans have harvested for thousands of years. They’re also a staple ingredient in traditional Southern Appalachian kitchens. Over the last several years, the bold-tasting green has become wildly popular among foodies, apt to appear on the menu of a trendy restaurant or bunched at farmers’ markets. 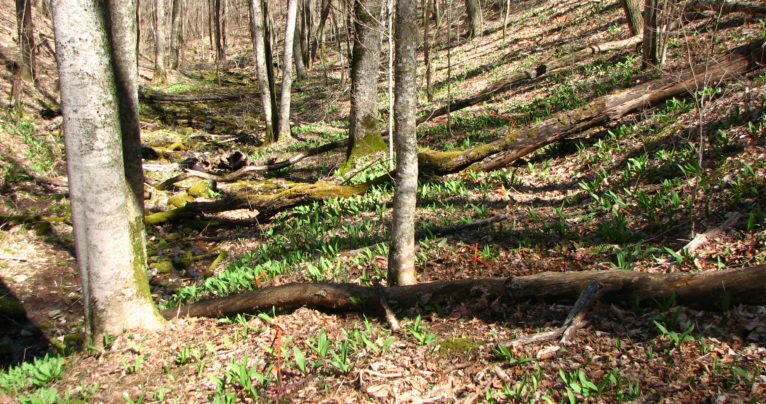 But ramps are just one of many non-timber forest products within the region’s national forests that people gather for food, medicine, crafts or for spiritual or commercial reasons. While public land agencies regulate many plants with market value, such as ramps, ginseng and cohosh, the growing demand and rising economic worth of some forest resources have increased pressure on harvesting. To aid in sustaining the population of ramps and to improve the general health of the region’s forest resources, the U.S. Forest Service has joined forces with Native American tribes. Rodney Snedeker, a forest archaeologist, is the tribal liaison of the National Forests of North Carolina office in Asheville. 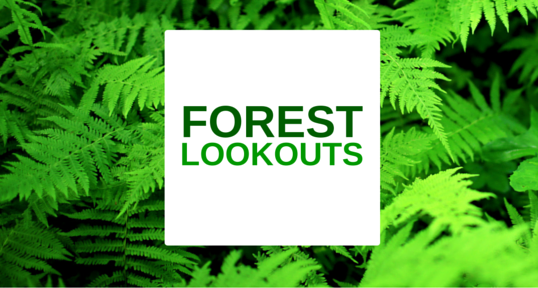 Indigenous knowledge of stewarding ramps and other forest resources may be blended into a revised forest resource management plan that will oversee the more than one million acres of public forest within the Pisgah and Nantahala National Forests. A draft plan is slated to be released in 2018 and will guide forest management strategies for the next two decades. Michelle Baumflek, an ethnobiologist with the USDA Forest Service Southern Research Station in Asheville, is working with the Eastern Band of Cherokee Indians (EBCI) to combine social, environmental and biological sciences to examine how their land and stewardship methods can help answer complex forest management questions. “We want to bring together indigenous knowledge and scientific evidence to better inform conservation on a landscape level,” she said, adding that traditional expertise is passed down over many generations. Currently, the Southern Research Station has a “memorandum of understanding” with the EBCI to explore areas of research of mutual interest around climate change and climate change adaptation. Among the work, she said, includes studying culturally significant plant species whose populations may be vulnerable. For example, her research includes comparing traditional harvest techniques for ramps with commercial methods to lend evidence to practices used for centuries by native gatherers. At times, said Baumflek, indigenous knowledge can be underutilized in crafting land management plans. Her past research on Native American tribes in Maine has emphasized the importance of communicating their know-how with government agencies and other conservation advocates. That concern is not lost on Tommy Cabe, a forest resource specialist with the EBCI. He regards the tribe’s participation in the forest planning process as a way to communicate and explain their complex relationship with the environment of Western North Carolina. He has participated in the forest planning revision process as a member of the Pisgah-Nantahala Forest Partnership — a broad group of interests and organizations intended to help guide the Forest Service in the revision. For example: the best ways to harvest and sustain ramp populations. While ramps can be cultivated in gardens, much of the demand is met by wild harvesting. 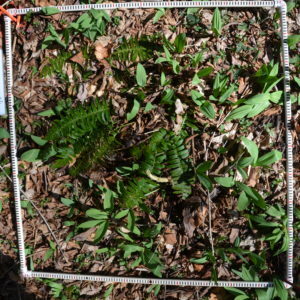 A plot of ramps being studied by the U.S. Forest Service. Courtesy of the U.S. Forest Service. Cabe said forest-harvested ramps fetched as much as $50 per gallon last year. “That’s a pretty good economy for someone who can spend a day in the woods,” he said. The website Earthy.com listed the retail price of one pound of fresh ramps for $15.95, though currently out of stock in the off-season. While a permit is required to harvest ramps from national forests, not everyone follows those regulations, which can be difficult to enforce. As a result, Cabe and other gatherers must go deeper into the forest to find healthy plants. The time-tested Cherokee method is to cut every fourth plant just below the soil so the bulb and root are left behind. The commercial harvesting technique removes more of the plant, or occasionally, the entire plant may be crudely dug from the ground in order to harvest faster and to capture a larger yield. That’s a concern, Cabe said. For the plant population to survive and remain healthy sound harvesting methods are vital. If the entire plant is removed the slow growing species can take several years to reproduce. Cabe’s understanding of Cherokee stewardship techniques is not just welcome in the national forest plan revision process; it’s required. Federal planning guidelines mandate the inclusion of Native American tribes in the planning process. Snedeker said 11 federally recognized tribes are participating in the plan revision. Before their forced removal by the U.S. government, the participating tribes’ ancestral homes were located in or near the Southern Appalachians or they have knowledge concerning cultural resources. “The tribes have identified areas that are important to them for collecting plants, for ceremonial or spiritual reasons, or places that they have a strong connection,” Snedeker said. In addition to protecting sacred sites and places with historical or archeological value, planners are also interested in gathering know how — what experts refer to as “traditional ecological knowledge” (TEK) — from people who have stewarded the land for several millennia. 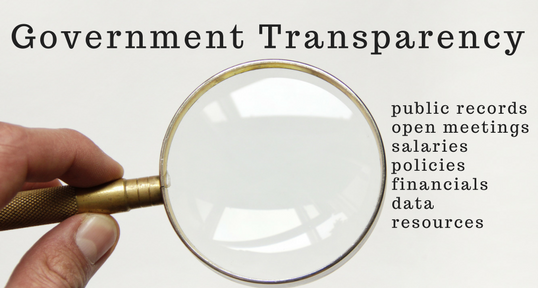 Snedeker, a 30-year veteran of the Forest Service who was around for the drafting of the current land management plan in the late 1980s and early 1990s, said this revision effort has been much more inclusive of traditional wisdom. The tribe’s concerns and interests include continued access to forest resources and the stabilization of various species important to the tribe. For instance, young oak tree stands are utilized for traditional crafts. Populations of oak trees, such as red oaks, are under pressure in the Southeast from changes in climate, the spread of invasive plants, lack of fire, and other changing ecological forces. The concern for oaks echoes a concern among other forest users — such as hunters and wildlife biologists — who have argued that a range of forest management techniques are needed to create a healthier mixed-aged forest. The Pisgah-Nantahala land management plan will also include special guidelines to oversee resources with historical significance, such as a 24-mile section of the Trail of Tears National Historic Trail in the Nantahala National Forest that recognizes the forced removal of the Cherokee and Creek people from the region in 1838. The trail is managed by the Forest Service in consultation and partnership with the Cherokee Tribes in North Carolina and Oklahoma, as well as Creek Tribes in Oklahoma, Alabama, Louisiana, and Texas. Cabe said that the EBCI has recently approved the Cherokee Land Management plan that oversees the stewardship of 56,892 acres within the Qualla Boundary, the official name for the Cherokee Indian Reservation in Western North Carolina. The majority of the land is located in Jackson and Swain County. The plan, he said, prioritizes cultural values and traditions. He’s eager to see that philosophy emphasized in the Pisgah-Nantahala forest plan and applied to land management practices throughout the region.